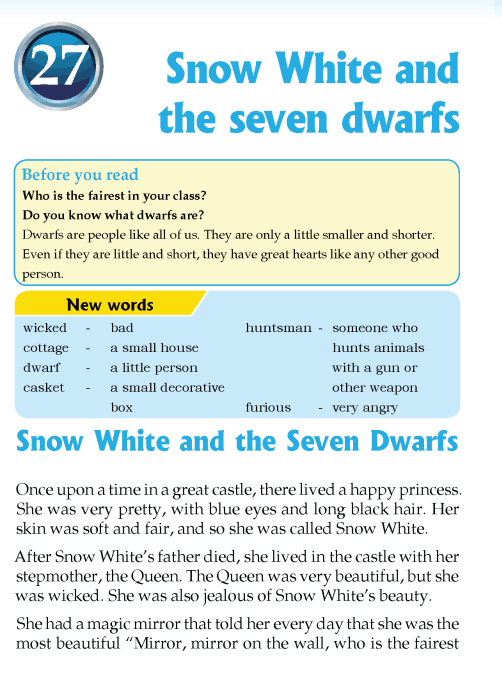 Why the princess was called Snow White? Why was the Queen furious? What did the Queen order the huntsman to do? What did the huntsman return to the castle with? Why was the casket covered with glass?